The Savings account deregulation by RBI didn't went well with the banking stocks in general. Most of the banks with high CASA deposits fell 3 - 4% on the day when the overall market was up 2%. HDFC Bank was one such stock which fell around 4% on huge volumes of around 20 million shares on National Stock Exchange. The following Technical Chart depicts some of the key numbers which might help in your investment or trading decisions. After RBI deregulated interest rates on Saving Account Deposits yesterday (25TH Oct 2011) Yes Bank grabbed the opportunity to ignite a rate war by offering 6% interest in an effort to wean away accounts from established players with very high number of savings account, such as SBI, HDFC Bank. HDFC Bank and SBI has very high CASA deposits of close to 50% of total deposits and has built vast troves of cheap cash in savings account. RBI in its monetary policy on 25th Oct 2011 deregulated the Savings Bank Account Interest rate with immediate effect. Till 24th Oct 2011 the interest rate on Saving Account was fixed at 4%. The deregulation could have significant impact on banking industry and particularly the banks with high Current Account Saving Account (CASA) ratio , as the cost of funds are bound to go up because of rise in interest rates on Savings Account. 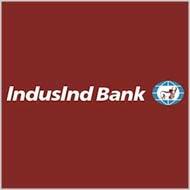 India Infoline (IIFL) has given buy rating on Indusind Bank for a possible target of Rs 286 in its Oct 24 research report. The closing price as on 24th Oct was Rs. 272. IndusInd Bank, has signaled a breakout from an ‘Inverted Head & Shoulder pattern’ above Rs272 with expansion in volumes on the daily chart . Last week, the stock consolidated above its 100-DMA with breakout on the oscillator front, suggesting breakout thus affirming bullish trend in counter. The amplitude of an ‘Inverted Head & Shoulder’ pattern stands at Rs36, giving upside projection target of Rs 306. The RSI too has been showing a positive crossover thus supporting buying argument in the counter. IIFL is advising a buy on the stock above Rs 274 with stop loss of Rs 268 for target of Rs 286. Because of economic slowdown, the management has decided to implement a scheme to put workers of 40 years of age and above on early retirement. This scheme will be known as R-A-P-E (Retire Aged People Early). Persons selected to be R-A-P-ED can apply to management to be eligible for the S-H-A-F-T scheme (Special Help After Forced Termination). Persons who have been R-A-P-ED and S-H-A-F-T-ED will be reviewed under the S-C-R-E-W program (Scheme Covering Retired Early Workers). 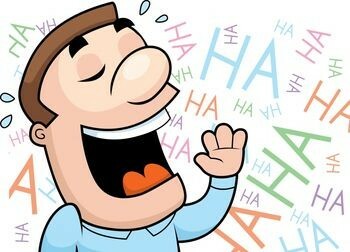 A person may be R-A-P-ED once, S-H-A-F-T-ED twice and S-C-R-E-W-ED as many times as management deems appropriate. Benjamin Graham created many techniques for discovering undervalued stocks which were written in his famous book "The Intelligent Investor". One of them is an easy but very powerful technique called "Working Capital Test". This formula is easy to apply and very powerful in revealing really bargain stocks. Below are the steps to calculate the "Net Working Capital" and it's relation with market value of the stock. Step 1: Find the days list of stocks that have hit new lows for the past year. Step 2: From the Company annual report or recent quarterly report see the value of the net working capital. India's largest passenger car maker, Maruti Suzuki, has lost over Rs 700 crores due to the 14-day-long strike at Maruti's Manesar plant. The strike was called off today following a tripartite agreement between the management, workers and Haryana government. Yahoo Inc. has reported yet another disappointing quarter. The company reported 26% drop in its net income to $293 million for the July-September quarter, primarily due to lower advertising revenues. The company posted revenue of $1.21 billion for the third quarter ended September 30, 2011, a 24% decline from the year-ago period. HDFC Bank's net profit jumped by 31.49% YoY to Rs 1,199.35 crore in Q2 of Fiscal 2012 vs profit of Rs 912.14 crore for Q2 of fiscal 2011. The Bank's total income for the current quarter stood at Rs 7,929.38 crore, as against Rs 5,770.70 crore in the same period a year ago. 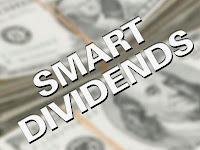 Many companies in India rewarded shareholders with bonus shares in calander year 2011. ONGC, Hexaware, NALCO, CMC, Hindustan Zinc, Titan were some of the popular names that gave bonus shares this year, but apart from them lot of smaller companies also declared bonus issues. Following is the comprehensive list of all companies which declared bonus issues and went ex-bonus till date. 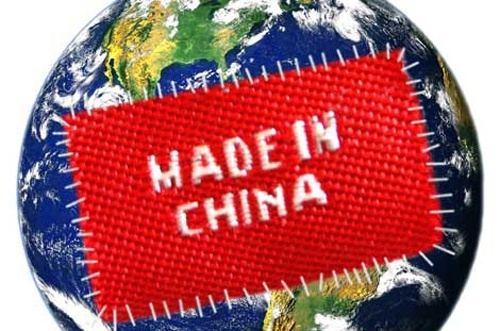 China's GDP touched 32.07 trillion yuan or $5.01 trillion in the first nine months of fiscal 2012, up 9.4% year-on-year. The economy expanded by 2.3% in July-September on a quarterly basis. There have been concerns that the debt crisis in Europe may hurt growth in the region and dent consumer demand.That is likely to have a big impact on China's export sector, as the EU is the world's biggest purchaser of Chinese goods, with the market worth about $380 billion in 2010. In view of the economic crisis in US and EU, analysts predict a continued drop in China's exports in coming months. 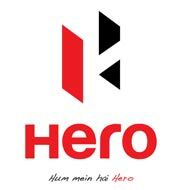 Hero Motor Corp. the country's largest two-wheeler maker has reported a 19.4% YoY jump in net profit of Rs 604 crore in the quarter ended September 2011 compared to Rs 506 crore in the corresponding quarter of last fiscal. Net sales jumped 28% to Rs 5,784 crore from Rs 4,511 crore YoY. The company sold 1.54 million 2-wheelers in the July-September quarter as against 1.29 million in same quarter the previous year. In the first half of financial year 2011-12, the company sold more than 3 million 2-wheelers. Reliance Industries Ltd (RIL) saw its net profit jump 16% to Rs 5,703 crore for the quarter ended September 30, 2011, from Rs 4,923 crore in the corresponding quarter a year ago. 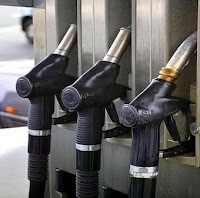 The gross refining margin for the company stood at $10.1 per barrel. The total income increased 37% to Rs 79,671 crore in Q2 of current fiscal, from Rs 58,151 crore for Q2 of last fiscal. Its turnover rose to Rs 80,790 crore in the second quarter (Q2) of the current fiscal, as against Rs 59,962 crore in the same period a year ago, the company said in a statement. Indian Stock Markets clocked the best weekly gains in six weeks, up 5%, buoyed by rally in the IT shares after Infosys reported better than expected results. The Sensex commenced the weak on an upbeat note after Germany and France pledged to recapitalize banks and prevent the sovereign debt crisis from spreading. The index took a breather mid-week, ahead of Infosys results which kick started the earnings season. The IT bellwether surprised the street with 9.7% rise in profit for the July to September quarter, spurring the rally in IT stocks. 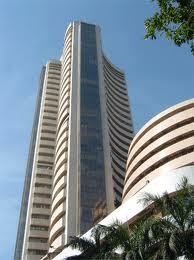 The Sensex reclaimed 17k in style and touched a high of 17,113 on Friday and finally ended at 17,083, up 199 points. The Nifty closed at 5,132, up 54 points. 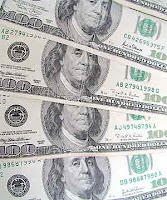 The U.S. government posted yet another annual budget deficit in excess of $1 trillion in the fiscal year ended Sept. 30. 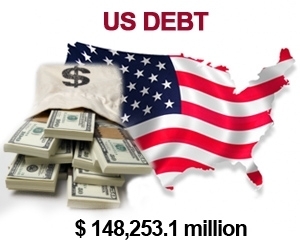 The shortfall registered $1.3 trillion in fiscal 2011, up from $1.29 trillion in 2010. It reached $1.42 trillion in 2009, the highest ever. 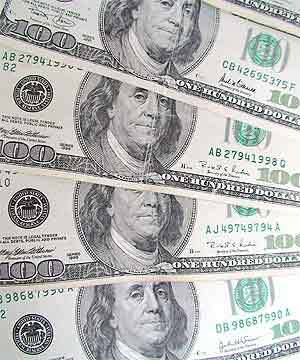 The budget deficit for fiscal 2011 was 8.7 percent of GDP, down from 9 percent in 2010, according to the Treasury data. The gap reached 10 percent of GDP in 2009, the highest since 1945. 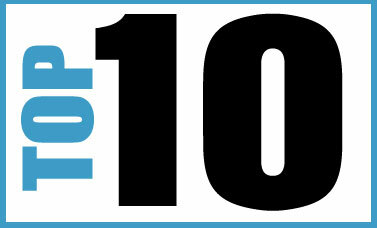 Infosys Q2 (FY 2012) consolidated net profit came in at Rs 1,906 crore, up around 11% as compared to Rs 1,720 crore in previous quarter (Q1 FY-2012). The company’s revenues was up around 8.2% in the quarter to Rs 8,099 crore vs Rs. 7485 crore during the same period. Earnings per share for the July-September quarter of 2011 was at Rs 33.3 as against Rs 30.14 in the previous quarter. The result was largely inline with consensus expectation. Dollar revenues growth guidance for FY12 lowered to 17.1-19.1% as against earlier guidance of 18-20%. State Bank of India (SBI) is expecting to raise Rs. 5000 crores through the right issue by March 2012 to acheive 8% capital adequacy ratio. With the deterioration in its asset quality, and Tier I capital coming down below 8%, global ratings agency Moody's downgraded the creditworthiness of SBI by a notch to 'D+' from C- last week. Tata Consultancy Services (TCS) Annual Report for the fiscal year 2011 and 2010. 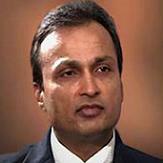 Reliance Capital, an Anil Dhirubhai Ambani Group Company, has completed the sale of a 26% stake in its life insurance venture Reliance Life to Japan's Nippon Life for over 3,000 crore. The entire transaction proceeds of Rs 3,062 crore ($680 million) from the Japanese financial services major have been duly received by the company, Reliance Capital said in a statement. 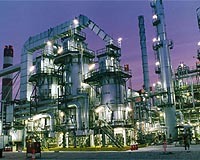 Bharat Heavy Electricals Ltd (BHEL) has published their annual report for the fiscal year 2011. SKS Microfinance has hit yet another lower circuit of 5% on the fourth consecutive day. The stock, which is currently trading at Rs 222 was, shifted from the elite A group to B group by the Bombay Stock Exchange (BSE) with effect from October 10, 2011. According to media reports, the microfinance sector in the country has shrunk by about 40% in past one year after the crisis began to unfold in Andhra Pradesh. Are their any golden rules for making money. May be yes. 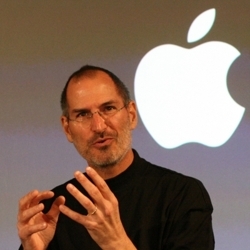 Following ebook lists some of those rules which could be a good Lesson for Entrepreneurs and Investors. Use the following link to Download the ebook "Golden Rules of Making Money"
Anil Amabani was given clean chit by CBI today as far as Swan Telecom deal is concerned. The news went well with the group stocks. 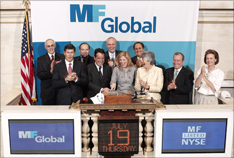 In a market which was down close to 2%, most of his group stocks ended positively. Samir Arora, fund manager at Helios Capital believes October is going to be a bad month for equities all across the board. "The European Financial Stability Facility (EFSF) expansion already factored into global equities," he added. It has not been a good start to the month with Nifty seeing 1.5% cuts on the first two trading days. Arora feels the second quarter performance will weigh on Indian equities this month. "I think the result season, in general, will be bad," he said. The Greece government on Friday stated that it would miss the deficit target for 2011 and 2012. The Markets across the globe reacted negatively and most of the major asian markets ended in the red. Back here in India, BSE Sensex shed more than 300 points to close at 16,151.45 levels. From the financial space, ICICI Bank plunged 4%. SBI, HDFC Bank, Axis Bank, Kotak Mahindra Bank and PNB were down 2-3%. HDFC fell 1%. When stocks pay dividend, it essentially means that the company is sharing profit with the shareholders, but in the case of Mutual Funds paying dividend, they actually return a part of your capital back to you. Many people get trapped by the high dividend paying mutual fund schemes without understanding the truth behind it. Distributors mis-sell investment schemes to investors on wrong knowledge. This is especially true in the case of equity-linked saving schemes (ELSS), where large dividends are given out as year end approaches and investors are lured into investing in these, based on a promise of quick return on capital. The year 2011 has so far been pretty dull as far as Indian Stock Markets are concerned. But many companies came out with IPOs and raised money from public. Unfortunately due to lofty valuations and bad market sentiments most of them have performed badly and are down significantly from their issue prices. 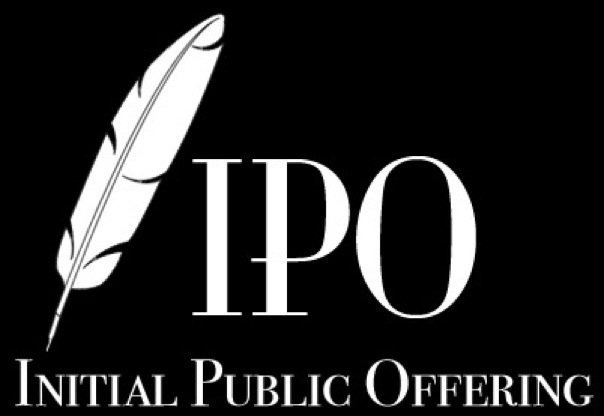 Following is the month wise detail of IPOs and their performance as on 30th September 2011 with respect to their issue price. The Sensex gained 291.70 points or 1.80% for the week to settle at 16453.76 whereas the Nifty ended up by 75.50 points or 1.60% to close at 4943.25 levels. The global economy is once again passing through turbulent weather in terms of the growth trajectory. 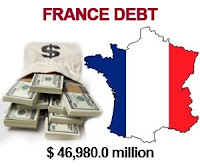 Soft economic data points coming out of western economies coupled with the perplexing sovereign debt crisis in Euro zone has once again raised the odds for a double dip recession in the troubled western economies. Hence, the downgrade of US debt (July 2011) by the rating agencies was merely a catalyst for the ruthless sell off that risky asset prices have witnessed post the downgrade, further adding to the odds of a double dip.